This clever and colorful soft touch Lilly Pulitzer iPhone 4 case is an excellent gift for yourself, a girlfriend, or loved one. Your iPhoneÂ® 4 / 4S is sure to stand out as you LOL with your BFF. And this Lilly Pulitzer iPhone 4 cover offers direct access to all features. Sleek and durable with soft touch protective coating. $26. Buy here. Dabney Lee’s energetic vibe and blazing colors make everyday items simply fabulous. 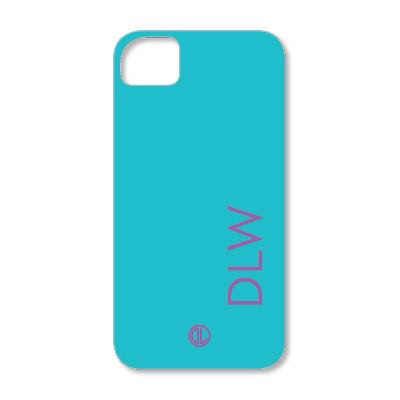 Amplify your style with this Dabney Lee Personalized Cell Phone Case Robins Egg case, featuring super sleek lettering against a solid field of bright robin’s egg blue. Choose from several bold font colors to customize with a monogram or acronym. This outstanding personalized cell phone cover makes an impressive gift for your mother, sister or daughter. Case fits: iPhone 3, 4, 4S & 5; iPod 4G; Blackberry 8520, 9700 & 9900. $56. Buy here. For the tech savvy woman on the go, the Largo iPhone Wristlet was designed for everything you need, tucked into one compact case. The stylish case opens to reveal housing for an iPhone 4, and has slots for three cards and paper bills. Being so versatile, the wrist band is removable. Measures 5.1â€ x 3.35â€ x 1″. Sold separately. $29.95. Buy here. 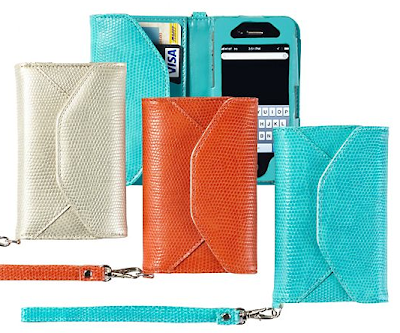 Safeguard a mobile phone in style with Clairebella’s signature urban graphics and bold colors. 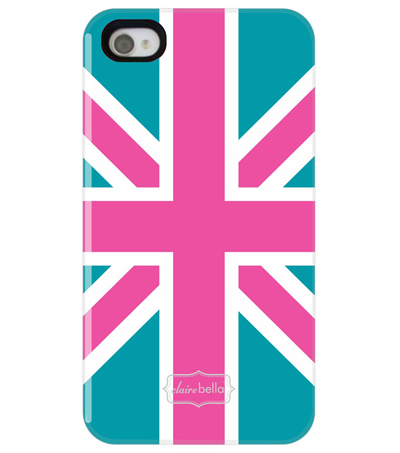 The iPhone Case Union Jack updates a classic British flag design with a chic hot pink and turquoise colorway. Heat-printed to ensure its pattern doesn’t rub or fade, this snap-on case is developed to protect the device while complementing its style. Case does not cover front edge of phone. Available for these devices only: iPhone 4/4S and iPhone 5. $35. Buy here. 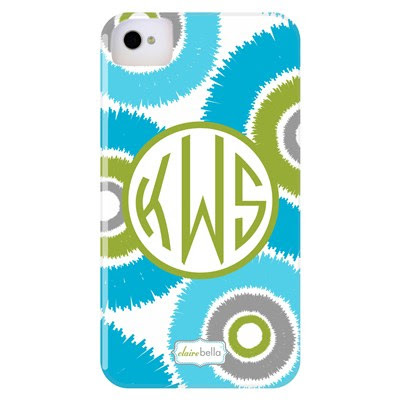 Protect and personalize your cell phone in Clairebella’s signature urban designs and bold colors. The groovy Tie Dye Phone Case is fun and vibrant with bursts of colorful concentric circles, available in a bright pink or vivid blue colorway. Heat-printed to ensure its pattern doesn’t rub or fade, this customized cover is stamped with a monogram or initials in the color, style and font of your choice. Crafted by Case-Mate from Lexan, a plastic with more strength and durability than typically used for phone covers, this snap-on case is developed to protect the device while complementing its style. Case does not cover front edge of phone. The iPhone 4/4S case is designed with a large opening to accommodate camera and flash specs. Available for a variety of models. $54. Buy here. 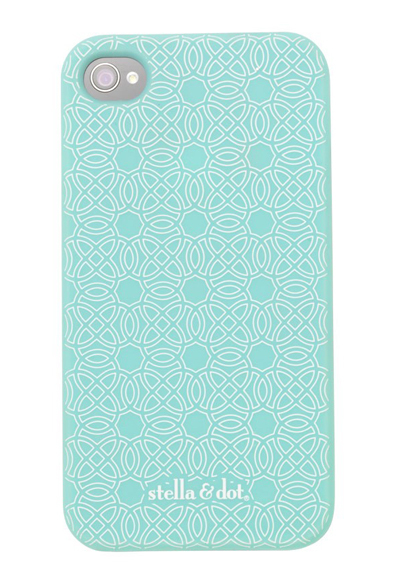 Dress up and protect your iPhone 4 with this Signature Stella & Dot iPhone Case. Thermoplastic polyurethane. Fits iPhone 4 and iPhone4s. Lead & nickel safe. $29. Buy here. 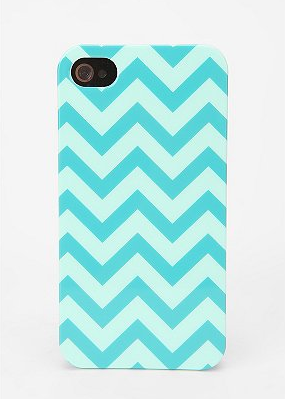 This Fun Stuff Chevron Phone Case is a hard shell snap-on case topped with fun. Perfect, secure fit with a slim profile. Durable construction. Fits iPhone4, iPhone4s. $16. Buy here. Prepare to be flocked by cheerful chirps of flattery when your friends spy this stylinâ€™ Posh Reception iPhone Case on your smartphone! 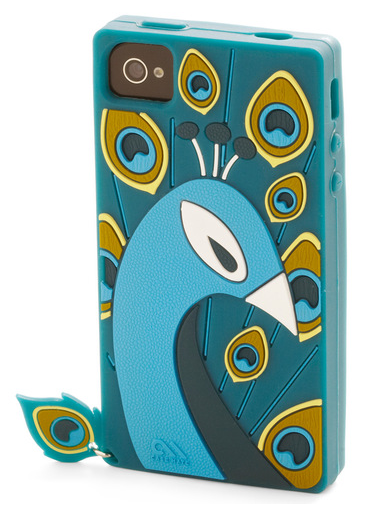 While you snap photos of them fluttering through the lush landscape, they can admire its peacock-inspired design, which shields your gadget in gorgeous shades of turquoise, teal, lemon, and muted gold. Complemented by a feather charm of flair that swoops from one corner, this fashionably flexible design by Case-Mate keeps your iPhone 4 or 4S as polished as your strut! $27.99. Buy here. Bring a happy chic mood to the day with the colorful and bold designs of Jonathan Adler. 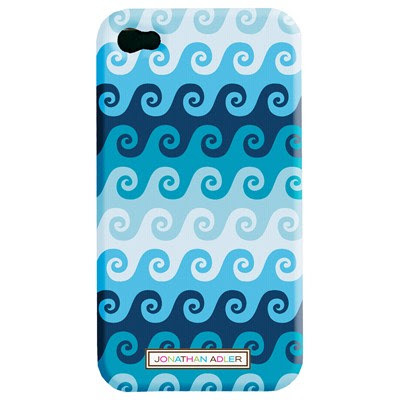 The Swirls iPhone 4 Case will express your exhilarating style with a groovy oceanic inspired pattern in tonal blues. One piece case offers sleek and durable protection with a hard shell construction finish and soft-touch coating. $25. Free shipping. Buy here. 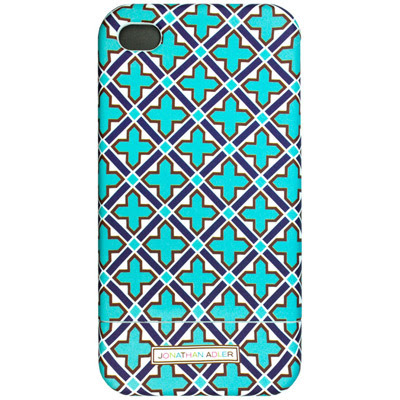 This hardshell Tory Burch Lucio iPhone Case features a subtle logo at the ikat print. Formfitting construction and button cutouts. Fits iPhone 4G. $48. Free shipping. Buy here . Bring a happy chic mood to the day with the colorful and bold designs of Jonathan Adler. 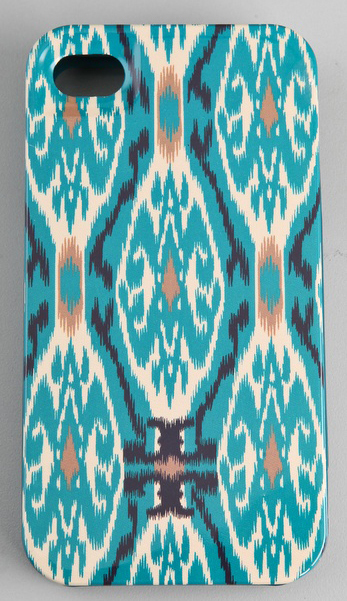 The Moroccan Grill iPhone 4 Case will express your exhilarating style with a modern Moroccan inspired pattern in exciting shades of blue. Two piece case offers sleek and durable protection with a hard shell construction finish and soft-touch coating. Designed to fit the iPhone 4G. Compatible with AT&T and Verizon iPhones, not including the new white iPhone. Full access to all functions. $25. Buy here. 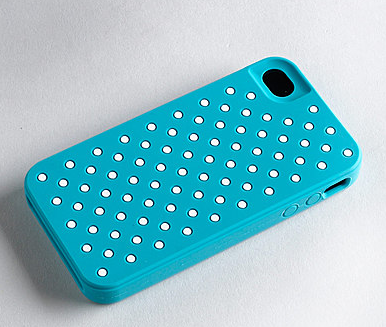 An iPhone is more than just a tool for making calls, it’s become the most important fashion accessory, and this polka dot Kate Spade Silicone iPhone 4 Case finishes its look with flair. Made of a stretchy, silicone material, this iPhone 4 case resists slips and scratches to keep your pocket pal safe. Moisture resistant. Stretch-fit design. Custom cut with access to all buttons, ports and speakers. Fits 16GB and 32GB iPhone 4 models. $35. Buy here.